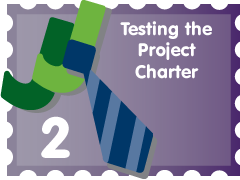 Sunday brought to an end the first week of the JuniorBiz Project Charter. In this last week I completed tasks to progress toward each of the 5 objectives. My objectives for the semester are to finish the lawn mowing guide, to increase website traffic, to boost my online presence, to add and promote content on the site and to expand the local (Fort Collins) awareness of JuniorBiz. 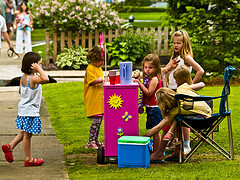 This guide will tell you everything you need to know to start and run a successful lemonade stand. Follow these six steps and have fun! 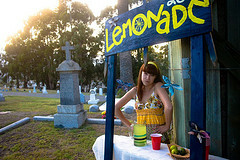 Nothing is more refreshing on a hot summer day than a big, ice-cold glass of freshly squeezed lemonade! 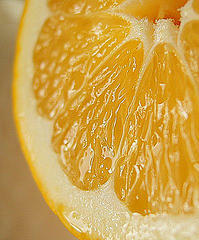 Fresh squeezed lemonade may be more difficult to make than lemonade from a mix, but it is definitely worth it. Here is a simple recipe for making lemonade from scratch. JuniorBiz wants you to have a safe, healthy and successful lemonade stand. Here are a few tips to help you to make that happen.